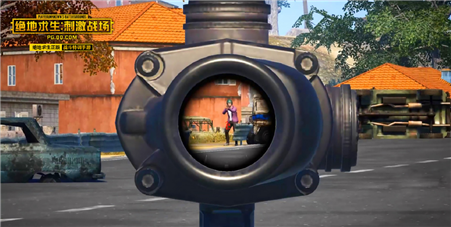 The sniper rifle is an extremely important firearm in the PUBG Mobile. It is powerful, and has powerful combat capabilities in the middle and long distances. It can often allow opponents to react and then be killed. After equipped with high-powered mirrors, no one can fight against long-range operations. In the mid-to-late period, it basically requires a sniper rifle, but sniper rifles can be divided into maps and airdrops. Airdrops are generally better than maps. To introduce is a powerful sniper rifle that can only be obtained by the airdrop, MK14-EBR (MK14), commonly known as Sister Control. The MK14 full name is Mark 14EBR, an enhanced combat rifle of the United States Navy and an M14 rifle. The variants are specially designed for the US Navy Seals Corps and Delta Forces (how about that, does it sound like a big shot)? As an alternative to M14, the MK14 added telescopic butts, pistol grips, bipods, etc. The single shot accuracy is higher, the field of vision is more open, and the speed is faster. Of course, M14 will soon replace the M14. . However, due to the heavy weight of the rifle chassis, MK14 caused the center of gravity to be too high. Therefore, after the launch of the MK17 with better quality and ergonomic performance, the latter was more favored by American soldiers. In terms of popularity, MK14 is obviously more widely spread than the same series of firearms. It is seen in all types of FPS games and movies (speed 7, backwater, and fall of the White House). In the game, the MK14 is a drop-loading device that will naturally not disappoint players, cause high damage, and have fast gunshot speeds. It’s synonymous. MK14 can be seen as an enhanced version of SKS, but it is more powerful (MK14 headshot can spike the player who wears the first level head, SKS will leave a bloodline), the bullets will fly faster, and the 0.09 shooting interval will be in the same category. The sniper rifle is second only to VSS, and it can be switched to fully automatic state and can also be used as a rifle in close combat. From the above comparison, it can be seen that MK14 is better in strength than the average rifle, and it is actually a good gun. However, the MK14 is not without its drawbacks: although it is fast, it cannot cover up the fact that it is able to recoil (but it can be lowered on the floor by tripods). Recoil); data mean, the damage is less than 98K, but the rate of fire than VSS; very dependent on accessories, but also over SKS. Overall, the MK14 is an airdrop weapon that is worth taking a risk. (Airdrops are risky and require caution.) , I believe MK14 will not let you down.